Join us for this amazing and educational beekeeping class focusing on learning how to be a sustainable beekeeper in our coastal climate. With pollinator numbers dropping at an alarming rate, it is imperative that we all take action now to help save these vital members of our ecosystem. 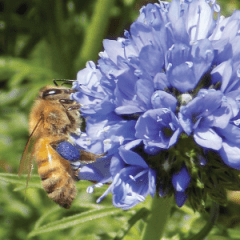 Taught by Brad Woodward, veteran beekeeper and Co-Owner of Woodlynbrand Beehives, you will learn everything it takes to establish and maintain a healthy bee colony here on the northcoast. Plus, you’ll be able to reap the rewards of all your hard work with a bountiful supply of sweet, golden honey! Cost: $120 – space is limited: contact Brad Woodward at moc.l1555923820iamg@1555923820gnipe1555923820ekeeb1555923820fotra1555923820 to register.